Home › More About the ReactorPanel System › Why Do We Use Sorbothane ®? Sorbothaneis recognized worldwide as the ultimate material for attenuating shock, isolating vibration and damping noise. No synthetic rubber or polymer can dissipate energy as effectively. Sorbothane® is a highly damped, visco-elastic polymeric solid that flows like a liquid under load. Since its introduction in 1982, Sorbothane® has been used in many energy absorbing product applications. Its unique properties allow Sorbothane® to absorb shock and recover to its original shape for thousands of cycles. Sorbothane combines shock absorption. good memory. vibration isolation and vibration damping characteristics. 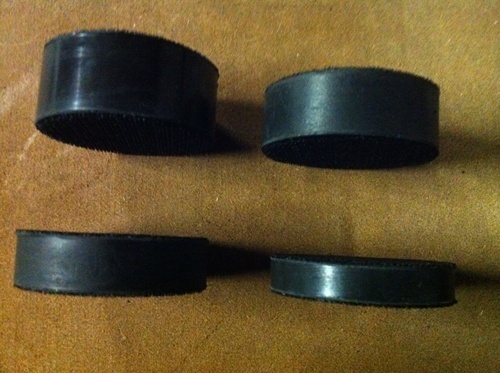 In addition, Sorbothane is a very effective acoustic damper and absorber. While a wide range of materials exhibit one of these characteristics. Combining them all in a stable material with a long fatigue life. Sorbothane is designed to absorb energy – it converts friction to heat and disperses it. Note that Sorbothane is used in a range of proprietry sports and medical products including shock absorbing insoles. So for application in a saddle……. The Sorbothane® discs that attach the panels to your saddle act as shock absorbers; these absorb the vibration and impact through riding while recovering at the optimum rate so that the shock is not transferred back to the rider or horse but also recovers quickly enough to absorb the vibration from the next impact. Therefore a close, stable connection can be achieved even on the biggest moving horses. 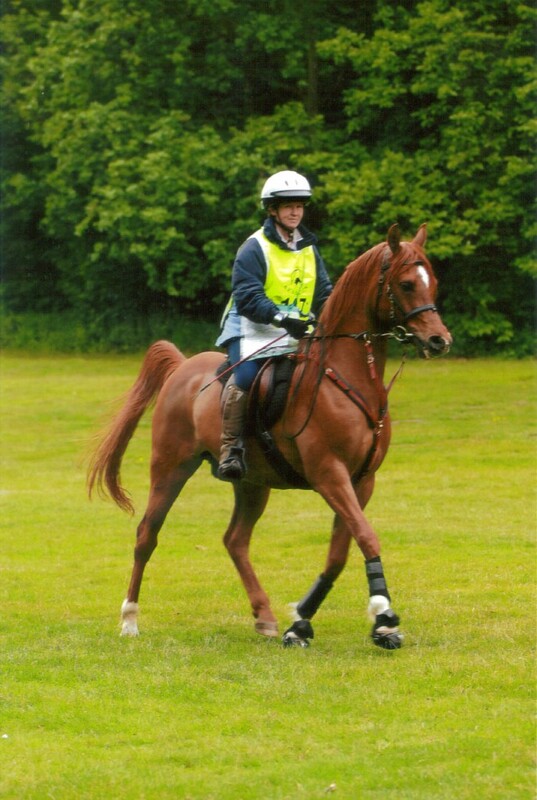 Our customers who previously experienced back and knee pain when riding often have found that it improves or completely disappears when riding in a well fitted ReactorPanel saddle. 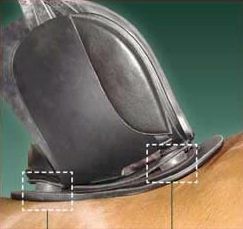 The discs also take out the concussion from the rider movement in the seat therefore alleviating any jarring from the horses back. Combined with our patent, flexible, large load bearing panels the weight of the saddle and rider is to displace as kindly as possible across the horses back, giving very low pressure per square inch. In this Video Dean Talks about the Panels and discs and sets up the saddle.